Weekly market with a large selection of locally grown organic and biodynamic fresh produce, including fruit, vegetables, eggs and dairy, goatsmilk products as well as honeys, pickles, olives and home-made jams and preserves. 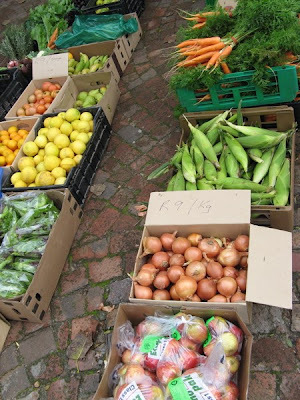 A good selection of the fresh produce comes from organic community food gardens around the Cape. There are also natural and organic body and beauty products and other goodies. The market is on every Friday between 11am and 3pm. Not open on public holidays or during school holidays.